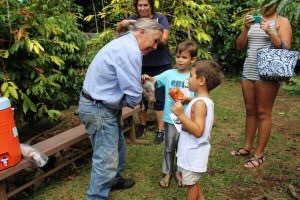 Kona Historical Society’s Kona Coffee Living History Farm in Captain Cook will be hosting their annual Farm Fest Open House on Saturday, September 30 from 10a.m.-2p.m. At this year’s annual celebration honoring Kona’s heritage, the theme is “Farm Farm to Table” and promises a day filled with family-fun activities that revolve around all the amazing sustainable foods that are made here in Kona, whether it’s baked items, cooking demonstrations from celebrity chef Sam Choy, hands-on historical “foodie” activities or traditional treats. 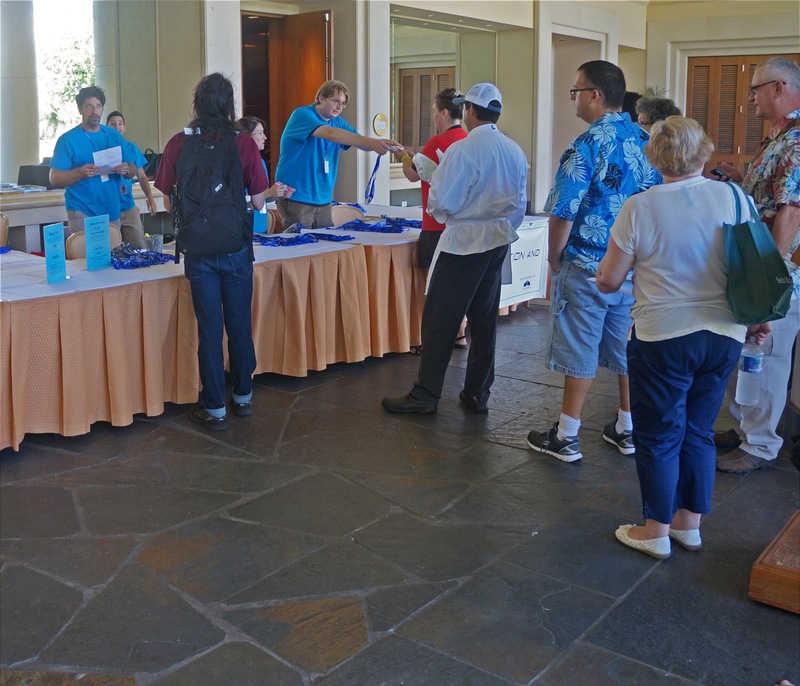 There will also be local music; “Hands on History” activities where you can practice the art of lauhala weaving, Japanese calligraphy, gardening and pan roasting coffee, among others—keiki & grownups are encouraged to join in and learn a new craft; Kona coffee tastings; an historical photo exhibit and tours of the historic 1920’s coffee mill and farmhouse. 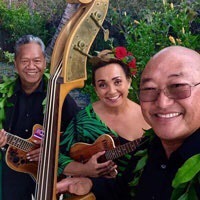 Monthly Mini Concert Series – Hoku Pa’a Trio at Queens’ Marketplace at Waikoloa Beach Resort! FREE EVENT – Come for free LIVE MUSIC, 6:00 – 8:00PM at the Coronation Pavilion at Queens Marketplace. 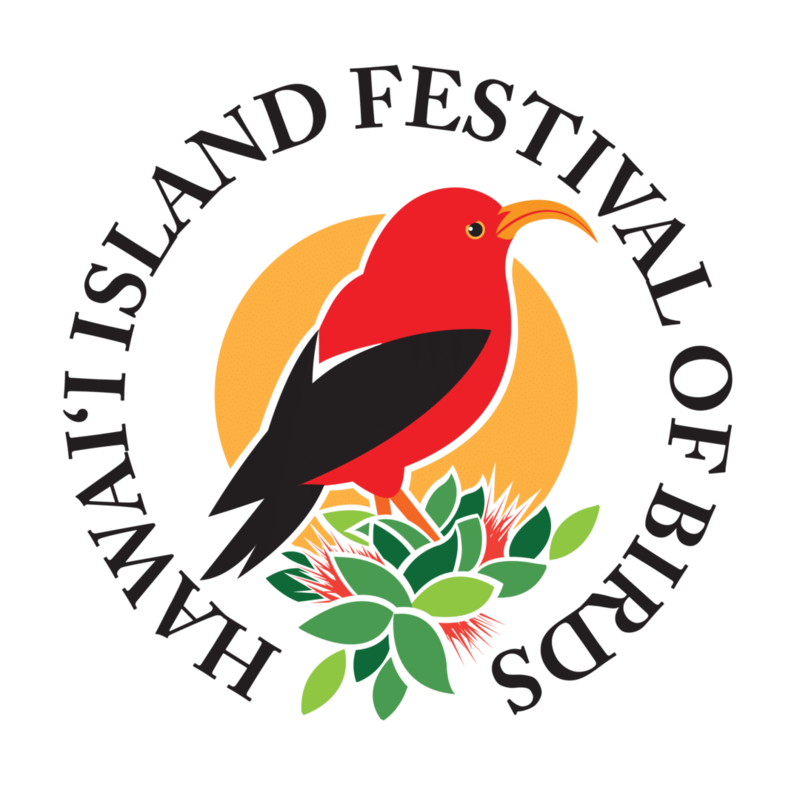 Hawai’i Island Festival Of Birds will be held on September 15-17, 2017. Celebrate Hawai’i’s unique blend of birds – from native honeycreepers found nowhere else in the world to common backyard birds from five continents. The festival includes 4 days of unique birding experiences. Tours, workshops with noted artists, a gala dinner and silent auction with live entertainment, a film festival, speakers, vendors, keiki activities, and much more. Cost/Cover:	$10 general admission. Ages 15 and under are FREE with a paying adult! 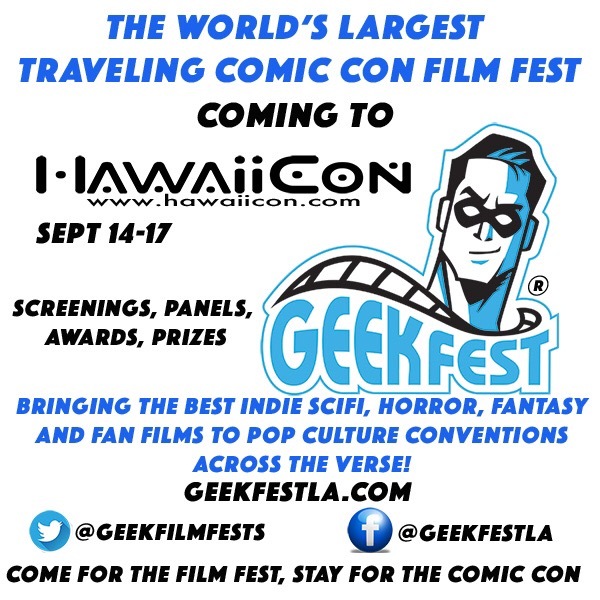 The most unique experiences in fandom happen at HawaiiCon. Go on an adventure tour with your favorite celebrity or join them at their table during a pool side lu’au by the beach. Passes to convention required to participate in all add-ons including tours, workshops, and photo-ops. 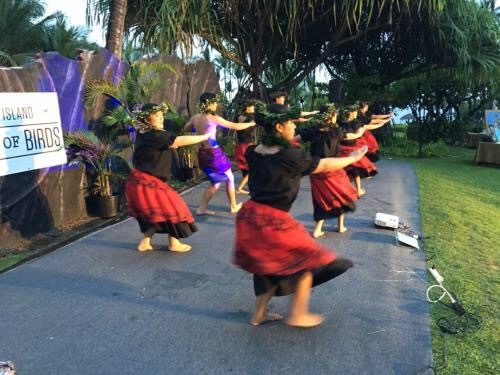 The festival features a halau (hula school) competition, the festival was created to perpetuate the art of hula and offer an opportunity to perform and compete. As part of the 30 days of Aloha celebration, the Hawaii Island Festival is proud to extend its warm Aloha the whole month of October in a celebration of the history, culture, food, dance and sports throughout Hawaii island. 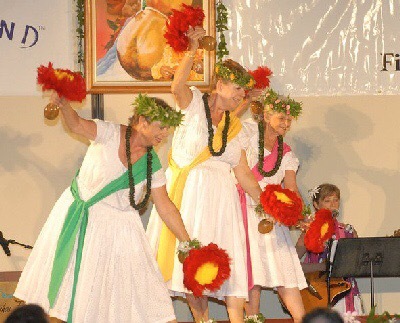 The theme of this year’s festival is “The famous sands of Kahelelani (Ni’ihau) to the fragrant scent of Kamawaelualani (Kaua’i).” Each halau will pick a song for the islands of Ni’ihau or Kaua’i that names a place on either of the islands or something unique to those islands ex. Pupu O Ni’ihau, Mokihana, Maile lauli’i, etc. Hours:	Doors Open: 5:00 p.m. Craft Fair: 8:00 a.m.
Cost/Cover:	Tickets are just $15 per night. 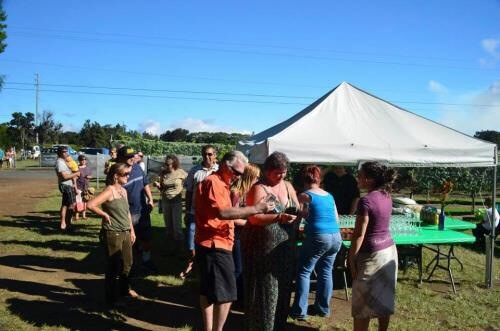 Bocce Ball Tournament this Sunday in Waimea! 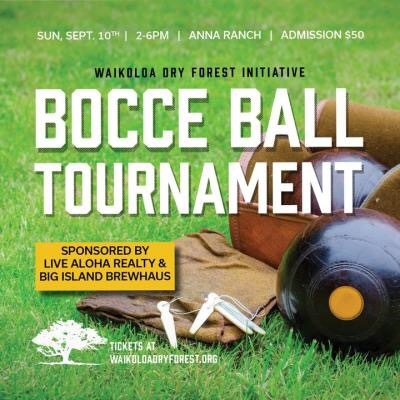 The Waikoloa Dry Forest Initiative is hosting a Beer, Bites, and Bocce Ball Tournament & Fundraiser. Create a team or just come to attend some friendly competition in this double elimination style lawn game that is fun and easy to play for all ages. Ticket prices include access to the event, drink tickets, food and entertainment. There will also be kid’s activities, educational booths, a silent auction, and fine art for sale. All proceeds will benefit the forest restoration efforts of the Waikoloa Dry Forest Initiative. Come join us for our annual Harvest Festival hosted on the estate under the beautiful Hawaiian sky, ticket price includes; Live Hawaiian music by Mark Yamanaka , the Young brothers, 2 glasses of volcano wine, beer by Mehana brewery and appetizers served by local vendors; Kilauea lodge, tuk tuk Thai truck, hfm, rusty’s coffee, Hilo burger joint, park cafe and more. All proceeds are donated to fund the S.T.E.M program at the Volcano School of Arts & Sciences, please support local and enjoy a night of fun with us! Tickets sell out every year and are on sale now, available on our website or at the winery! Queens’ MarketPlace Monthly Concert Series~Tomi Isobe! 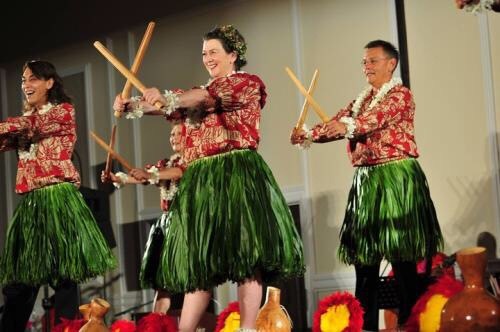 Rhapsody by the Bay – A Benefit Event for Kona Choral Society~Sunday April 14th! The 2nd Annual Hilo Cacao & Chocolate Festival ~ Saturday April 13th! 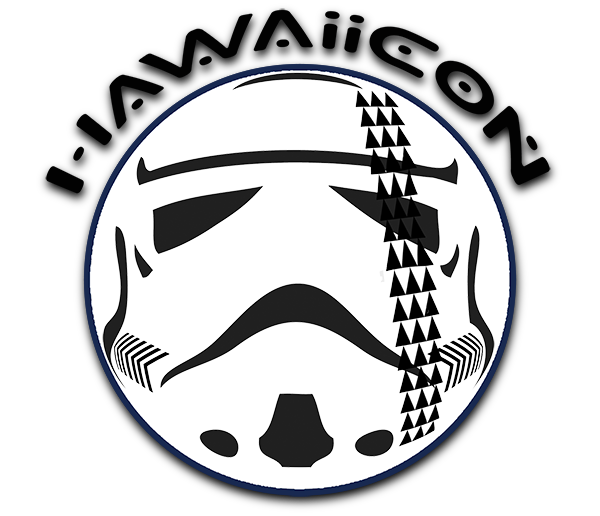 24th Annual Kona Brewers Festival~March 9, 2019!